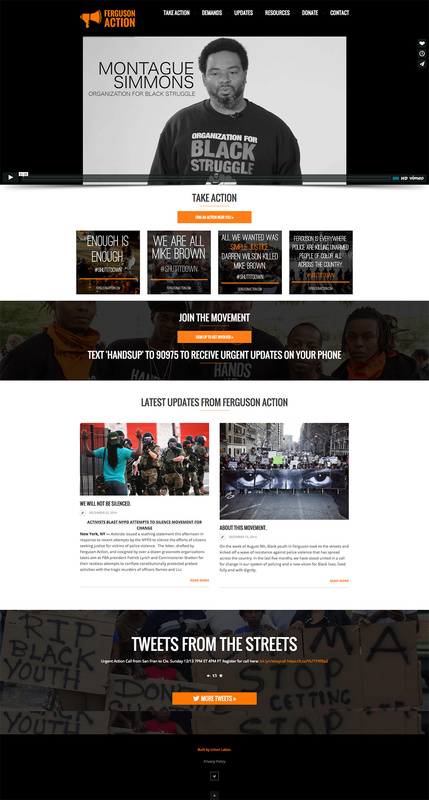 Ferguson Action (previously known as Ferguson October) is an organized social movement that uses protests and resistance to oppose police violence in the United States. The movement became notable after organizing protests that gained national attention following the shooting of Michael Brown in Ferguson, Missouri in 2014. In October 2014, the movement organized a four-day event, called the Weekend of Resistance, in which more than 1000 protestors from across the United States marched in downtown St. Louis. 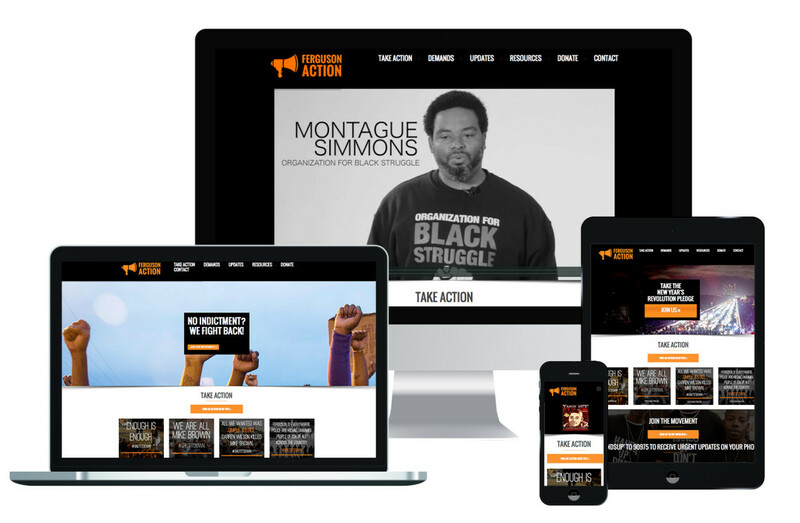 Ferguson Action uses their site as an online organizing hub to, share news an commentary from Black Lives Matter movement activists, house the Ferguson Action demands, share resources for resistance and resilience, as well as coordinate national days of action.